This Saturday, Oct. 18, the Atascosa River Park in Pleasanton will be filled with the sweet sounds of Tejano, Country and Mariachi music, at the seventh annual Market Days. The event is being brought to the public by the Pleasanton Hispanic Chamber of Commerce. PHCC President David Douglas invites the public to bring the entire family out for this day of great music, food, fun and entertainment for everyone! The celebration kicks off at noon, with the San Antonio Police Department Honor Guard and Kaitlyn Muñoz serving as the emcee. She is the co-host and producer of Daytime At Nine on FOX San Antonio. This San Antonio native began her career in the TV industry at the young age of 17. After an internship at KENS, she acquired her first full-time production position upon the relaunch of Daytime at Nine, on FOX in May 2012. After a year and a half as an Associate Producer, she was quickly promoted and is now the youngest lifestyle producer in San Antonio. Everyone is invited to participate in the Washer Tournament at 1 p.m. Registration will be from 10:30 a.m. to noon. Cost is $20 per team. Top prizes will be Yeti Coolers. The entertainment lineup includes: Art Mauricio (Texas Country/Gospel/ Spanish) and La Reina del Mariachi. Grupo Texas Heat, a Country/Tejano group from San Antonio will also be entertaining the crowd. 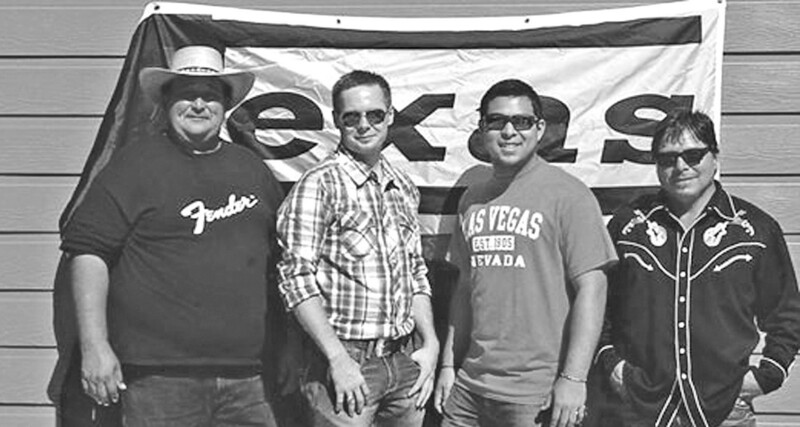 The Texas Tone Rangers, a band based in Pleasanton, have been added to the list of performers. The group plays Texas- Red Dirt/Classic Country/Classic Rock/ Tex-Mex/Original music. Band members are Zachary “Butch” Clark, Gilbert Rodriguez, Andrew Garcia and Richard Garcia Jr.
Local groups Hunter Chavez y Los Cazadores (Tejano) and Tejano Cavalry (Popular Tejano) will also be among the evening’s entertainment. Hunter Chavez y Los Cazadores have been together for only five months and they are already stirring up a great sensation! These young gentlemen hail from Pleasanton, Schertz, and San Antonio. Members are: Hunter Chavez-Accordion, Andrew Garcia-Bass, Ajay Garcia-Guitar Bajo Sexto and John Paul Lugo- Drums. 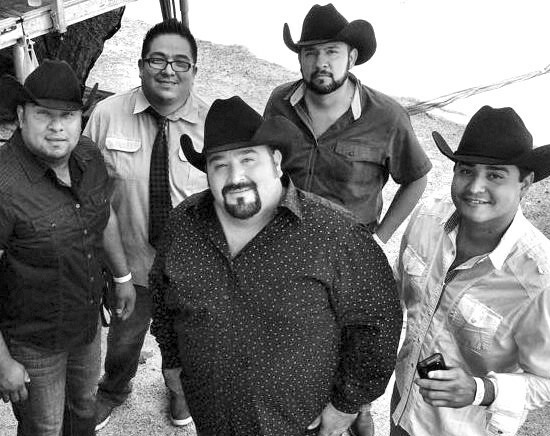 Local Tejano group Tejano Cavalry is making its mark on the Tejano music scene. The band won a trophy for the Best New Group of the Year at the Tejano Globe Awards in Houston, in October of 2013. Band members are Leo Leal on bajo sexto, Javier Villarreal on saxophone and keyboards, Rick Ortiz on vocals, Fabian Valdez on drums and Angel Valdez on accordion. San Antonio-based Tejano group La Calma will open for the headliner band, La Tropa F. Band members are Leonel Correa, Miguel Arizpe, Eddie Perez, Michael Machado and Mack Segovia. La Tropa F hails from San Antonio and is comprised of members from the Farias family. They are known for their unique sound of Tejano and regional Mexican music. Having toured the United States and Mexico, La Tropa F has become one of music industry’s top artists. They are scheduled to take the stage from 10 p.m. to midnight. Local non-profit organizations will also have concession stands offering delicious food and drinks for purchase. There will be food items such as: hamburgers, sausage wraps, chicken fajita tacos, brisket tacos, turkey legs, roasted corn in a cup, beef fajita tacos, funnel cake, tripas, aguas frescas and fruit cups. There will also be arts and crafts booths on display. Admission will be free until 4 p.m. Then from 4 p.m. to midnight, tickets will be $10 each, which will cover entrance into the park and all of the dances. Parking is free. VIP tickets and sponsorships are also available. VIP are $100 and includes: VIP parking, VIP area with seating next to the stage, as well as food and drinks for the night. 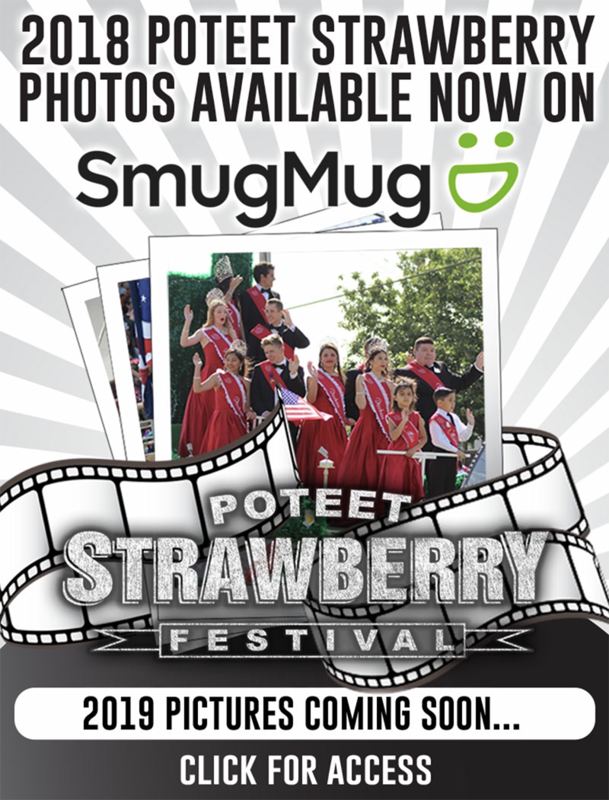 Those interested in purchasing VIP tickets or being a sponsor are asked to contact David Douglas at 830-570-9584. Funds raised from the event will go towards the Pleasanton Hispanic Chamber of Commerce, youth events such as Kid Fish and also their scholarship program. If you wish to be an arts and crafts vendor or food vendor, applications are at the UPS Store in Pleasanton (next to Subway).